Presenting new research which comes together with Gray's own thirty years of working with couples and individuals as a relationship therapist and healthy living coach, "Venus on Fire, Mars on Ice" uses humorous relationship situations everybody can identify with to depict the stunning connection between personal interactions, hormones, love, desire and healthy vitality at different ages. Gray shows us how the unique and often frustrating differences between men and women can actually be used to turn our relationships into a fountain of youth. Beginning in 1995 with his groundbreaking Men Are from Mars, Women Are from Venus, the New York Times number one best-selling book of the last decade, Gray launched a Mars-Venus book series that changed the way men and women will forever view relationships. 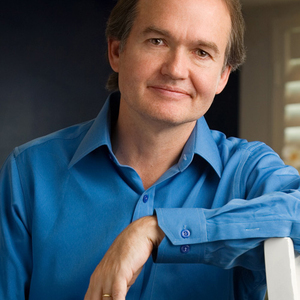 In the fifteen years since, John Gray has sold over 50 million books in more than 45 languages throughout the world. To quote Wikipedia, "You must be from another planet if you have not heard of John Gray and his Mars Venus Universe." An expert in the field of communication, Gray's focus is to help men and women understand, respect and appreciate their differences in both personal and professional relationships. In his many books, CD's, DVD's, tapes, workshops and seminars, he provides simple, practical tools and insights to effectively manage stress and improve relationships at all stages and ages by creating the brain and body chemistry of health, happiness and lasting romance. Dr. John Gray has appeared on Oprah, The Today Show, CBS Morning Show, Good Morning America, The Early Show, The View, Politically Incorrect, Larry King and others. He has been profiled in Newsweek, Time, Forbes, USA Today, TV Guide and People, among scores of other major programs. He was the subject of a rare three-hour special hosted by Barbara Walters. In addition to being a Certified Family Therapist with over 30 years of experience in the field, John Gray is a consulting editor of The Family Journal and a member of the Distinguished Advisory Board of the International Association of Marriage and Family Counselors. He is a recipient of the coveted the Smart Marriages Impact Award. John Gray, 58, lives in Northern California with his wife of 23 years, Bonnie, They have three grown daughters and three grand children. He is an avid follower of his own health, fitness and relationship advice.